AM, PhD, FAIFST, FNSA, MAICD holds a Personal Chair in Human Nutrition in the School of Molecular Biosciences at the University of Sydney. Professor Jennie Brand-Miller holds a Personal Chair in Human Nutrition in the Boden Institute of Obesity, Nutrition, Exercise and Eating Disorders and the School of Molecular Bioscience, at the University of Sydney. She is recognised around the world for her work on carbohydrates and the glycemic index (or GI) of foods, with almost 250 scientific publications. She received the 2003 Clunies Ross Medal for contributions to science and technology in Australia. Her books under the series title The New Glucose Revolution have made the GI a household word and sold over 3.5 million copies world wide in 12 languages. 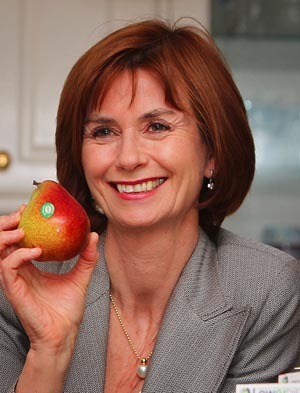 She is a past-President of the Nutrition Society of Australia, immediate-past Chair of the National Committee for Nutrition of the Australian Academy of Science, and President of the Glycemic Index Foundation, a not-for-profit company that administers a food symbol program for consumers in partnership with the Juvenile Diabetes Research Foundation (Australia). Jennie is the proud recipient of two Nucleus® bionic ears. Jennie is married with two children. Her father has type 1 diabetes. Alan has a PhD on the association between glycemic carbohydrate (glycemic index and glycemic load) and the risk of developing lifestyle-related diseases like type 2 diabetes, heart disease and certain cancers. The main chapters of his thesis, and associated works, have been published in some of the worlds leading nutrition and diabetes journals, and have been presented at scientific conferences around the globe. Alan is a part-time consultant to the Glycemic Index Foundation (Chief Scientific Officer). Alan worked for Diabetes Australia/Australian Diabetes Council/Diabetes-NSW in both a full and part-time capacity, from 1998 - 2014. Prior to that Alan worked in various NSW hospitals including Royal Prince Alfred and Lourdes. Alan is an official Media Spokesperson for the Dietitians Association of Australia and has appeared frequently in local newspapers, magazines, radio and television news. Alan is also one of the co-authors of the New Glucose Revolution: Diabetes & Pre-diabetes handbook and The Ultimate Guide to Sugars and Sweeteners. Alan is married with two children. His wife has had type 1 diabetes since she was 10 years old. The research that underpinned the paper that was eventually called The Australian Paradox: A Substantial Decline in Sugars Intake over the Same Time frame that Overweight and Obesity Have Increased (Nutrients 2011) was completed in November 2009, and as is customary, the abstract was submitted to a variety of nutrition conferences throughout Australia. It was accepted for oral presentation at several of them, and we collectively presented our data for academic discussion and debate over the course of about a year. An employee of Coca Cola must have seen one of those presentations, and thought it would be a good topic for a webinar. Sometime after The Australian Paradox was published in April 2011, Dr Alan Barclay was approached to do a presentation on fructose and he presented a Coca Cola Webinar on the topic in June 2011 that included some slides on The Australian Paradox. This was more than 18 months after the original research was conducted and 2 months after the paper was published. There was therefore no way that the webinar could have been included in the Acknowledgements section of The Australian Paradox. To cover his costs, Dr Barclay was paid an honorarium in line with industry standards. To suggest that Coca Cola had any input or influence on the publication of The Australian Paradox is pure fantasy. 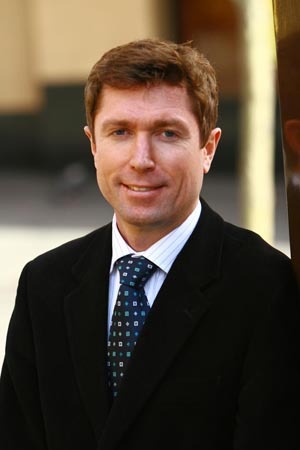 The conclusion of the independent inquiry into a complaint against the authors of The Australian Paradox was "...potential, perceived and actual conflicts of interest were appropriately declared by Professor Brand-Miller and Dr Barclay in the Australian Paradox paper, in accordance with standard academic practice."